The post mortem was initiated by the British Horseracing Authority (BHA), with kind permission of the horse’s owner, Trevor Hemmings, and trainer, Oliver Sherwood, and carried out by Veterinary Investigation Services Ltd with a member of Three Counties Equine Hospital in attendance. On behalf of the owner and trainer, and with their permission, the BHA can confirm that Many Clouds was found to have suffered from a severe pulmonary haemorrhage, which was the cause of his death following the race. Many Clouds received immediate care and attention from the team of racecourse vets, but they were unable to save the horse. No significant underlying health issues were discovered in the autopsy. Sudden fatalities such as this in racehorses are rare. The fatality rate within Jump racing for horses suffering from similar episodes is just 0.048% of runners. The overall fatality rate within British racing has decreased by 1/3 in the last 20 years owing to the sport’s significant ongoing investment in equine health and welfare. “Episodes such as this are rare, and can occur in horses which have no underlying health issues, and amongst all disciplines of sport horses. Many Clouds recently wore a heart-rate monitor in training on 17 November 2016. 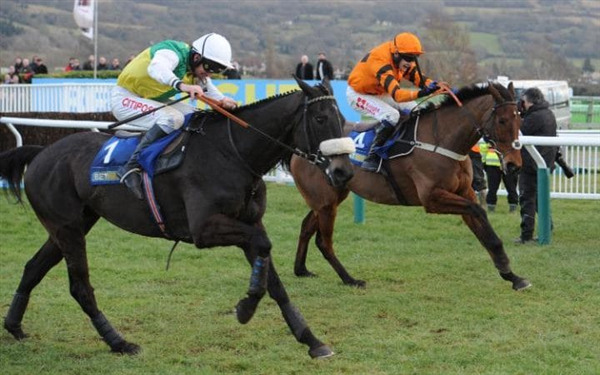 The data collected from Many Clouds on that occasion was within normal parameters in relation to both his heart rate during exercise and his recovery rate after exercise. Whilst Many Clouds had shown symptoms of post-race ataxia in the past, a syndrome characterised by loss of balance in walking following exercise, the horse had never collapsed before, and the horse had shown no signs of post-race ataxia or similar symptoms following the conclusion of the race on Saturday. “Post-race ataxia and similar symptoms are linked to an increase in body temperature after exercise and can be treated by providing the horse with water. It is not uncommon in racehorses or other sport horses. Despite some reports following the incident, there is no existing veterinary evidence which links these symptoms with racehorse fatalities, and the post-mortem results have categorically proved that the symptoms exhibited by Many Clouds in the past were in no way present or associated with his sad death at Cheltenham.